Are you a festival-goer? You’ll love our Festival Campervan Hire! There is few things better than seeing your favourite bands in the sun. However, with the English weather, you can’t rely on it being sunny. It often rains at Glastonbury Festival! 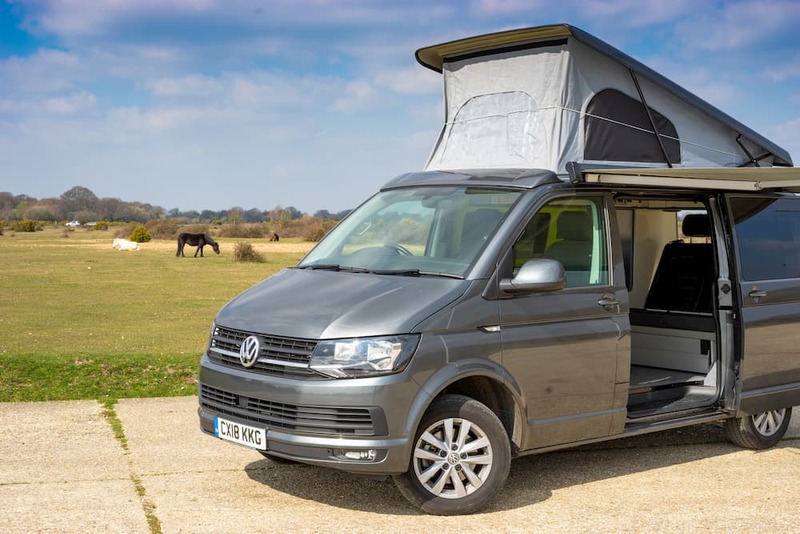 Just imagine coming back from seeing your favourite artist, traipsing through the festival mud, and arriving at your VW Campervan for a great nights sleep. 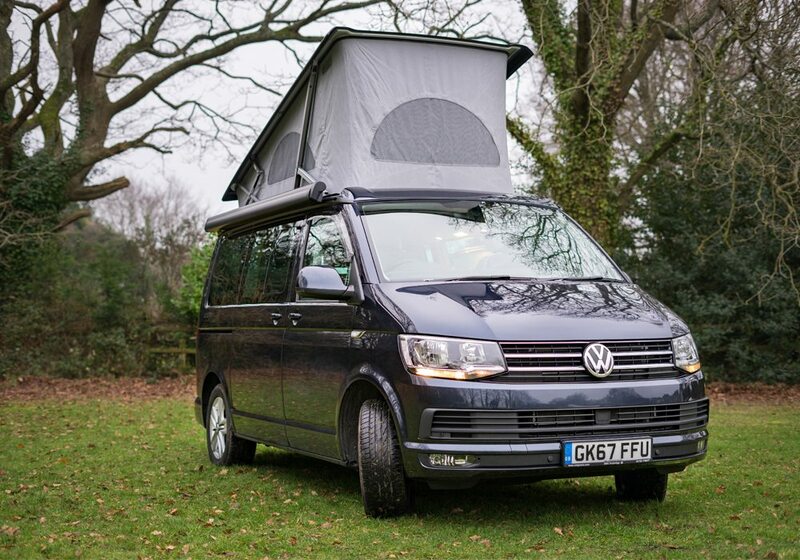 Why Choose VW Festival Campervan Hire? A festival has so much to offer: great live music; exotic and wonderful food; interesting people; an atmosphere like no other. However, the crowds of people often turn festival campsites into a mud bath. Especially if it is raining. This is where festival campervan hire can help you. Tired of sleeping in a damp tent? 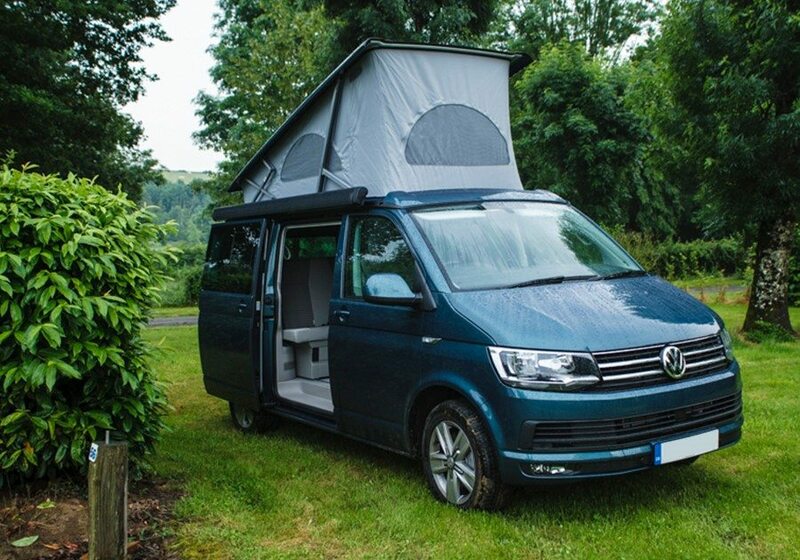 In a high spec VW Campervan, you can enjoy all the best parts of a festival and camp in complete comfort. With space for a family of 2 adults and 2 children, or 3 adults, our cosy campervans are a great way of enjoying a festival. Our VW Campervans come equipped with a massive range of handy features to keep you happy at a festival. Our campervans have plenty of space and sleeping facilities for a family of 4 or 3 adults. We have cooking facilities, storage, and plenty of privacy features to help you sleep well. Did we mention that you can hire a portable Cobb Barbecue Grill from us, as well as our free Larder Loader service? You’ll never go hungry with these great optional extras! Reading & Leeds: The Reading and Leeds Festivals are rock music festivals that take place in Reading and Leeds. They both take place on the Friday, Saturday and Sunday of the August bank holiday weekend and share the same line-up. Bestival: Bestival is a is a four-day music & arts event held in Dorset. Bestival won ‘Best Major Festival’ at the 2015 UK Festival Awards. Isle Of Wight: The Isle Of Wight Festival is the major music festival on the Isle Of Wight. Since 2002, it’s stages have hosted The Rolling Stones, The Who, David Bowie, Muse and many more. Latitude: Latitude festival is held in Suffolk. Latitude are the UK Festival 2017’s Winner of Best Major Festival. Glastonbury: One of the largest festivals in the UK is Glastonbury Festival. With lots of history, Glastonbury includes music, dance, comedy, theatre, circus, and other arts.